Arc Fault Circuit Interrupters (AFCIs) have been helping in the prevention and reduction of electrical fires since 1999, when AFCI installation first became a safety and electrical code requirement in the National Electrical Code (NEC®). The NEC, per the National Fire Protection Association (NFPA), is the benchmark for safe electrical design, installation, and inspection to protect people and property from electrical hazards. Over the years, many states have updated their local electrical codes to comply with the most recent edition of the NEC®. These updates occur on a three-year cycle, however, individual states can modify or omit some NEC® sections or add their own requirements. The AFCI requirement is currently in place in 48 states, with the exception of Indiana and Michigan. Situation: In early 2016, Florida’s Electrical Technical Advisory committee was faced with a proposed amendment to prevent the expansion of AFCIs into laundry areas and kitchens to meet the 2014 NEC® requirement. Home builders argued AFCIs were not needed, too costly at $40 per unit and that consumers would rather spend money on other building items rather than protecting their homes with a proven electrical fire safety prevention device. Firefighters, fire chiefs, burn survivors, electrical inspectors and others strongly disagreed and turned out to voice strong opposition to the amendment during public hearings. Result: The Florida committee voted unanimously to support protecting the public from electrical fires, rejecting the amendment and expanding AFCI use per the 2014 NEC®. Situation: A 2016 legislative bill was introduced in an attempt to bypass the state’s electrical code process that would have scaled back use of AFCIs in all future homebuilding. When the bill advanced to Governor Maggie Hassan’s desk to be signed into law, she was swamped with letters and phone calls of opposition statewide from electrical and fire safety advocates. Some of those included the State Fire Marshal, the New Hampshire State Building Code Review Board, the New Hampshire Building Officials Association, Local 490 of the IBEW, residents who had been victims of severe and debilitating burns, and many others. 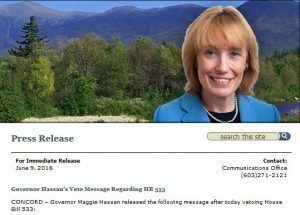 Result: Governor Hassan vetoed the bill in June 2016 and issued a strongly worded news release detailing her sound reasoning and ongoing commitment to protecting public safety and preventing electrical fires from occurring in future homebuilding. Situation: In 2016, the Louisiana Technical Codes Study & Advisory Committee was peppered with proposals to scale back Ground Fault Circuit Interrupter (GFCI) and AFCI use by home builders in the state. No fewer than seven amendments were introduced by the home builders in an effort to delete significant safety sections of the 2014 NEC®. The arguments of cost and effectiveness of these proven and NEC® required technologies were raised. However, committee members quickly learned of strong opposition to these amendments at a public hearing when numerous fire safety and electrical inspection officials showed up with factual information about AFCIs. The New Orleans electrical inspector and head of the state’s electrical contractors association specifically talked about the number of electrical fires AFCIs prevent and how they are helping protect homes and lives statewide in Louisiana. The committee received numerous emails from fire chiefs, fire inspectors and others opposing the attempt to reduce AFCI use in future homebuilding. Result: The committee promptly rejected all efforts to scale back AFCIs and GFCIs and the Louisiana Uniform Construction Code Council voted to accept the 2014 NEC® without the amendments. The updated electrical code protecting homeowners and Louisiana fire safety goes into effect in January 2017. Welcome to AFCISafety.org! This site is dedicated to providing the most comprehensive factual information on Arc Fault Circuit Interrupters and is supported by the National Electrical Manufacturers Association Low Voltage Distribution Equipment Section, comprised of AFCI manufacturers.